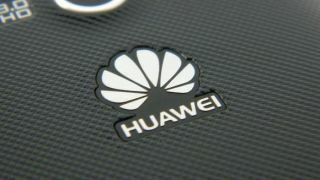 A White House review has found no evidence that Chinese telecom company Huawei has been spying for its home country, according to a report from Reuters citing two unnamed sources. This 18-month assessment by the executive branch stands in contrast to a year-long probe into China's Huawei and ZTE by the U.S. House Intelligence Committee. The White House didn't find a smoking gun and only deemed Huawei a risk for other reasons, like the fact that its technology could be vulnerable to hackers. The Intelligence Committee had harsher words. The House panel "has serious concerns" about both telecom companies, as "China is known to be the major perpetrator of cyber espionage." Its report concluded that "American businesses should use other vendors." On top of that condemnation, the committee, headed by Chairman Mike Rogers (R-Mich), said it received "dozens and dozens" of fresh complaints about Huawei and ZTE after issuing the House report. Huawei isn't completely off the hook with the White House either, though. National Security Council Spokeswoman Caitlin Hayden officially denied that the executive branch issued a review that came to a conclusion that exonerated Huawei. "The White House has not conducted any classified inquiry that resulted in clearing any telecom equipment supplier," Hayden told Reuters without specifying further. It's unclear if she meant that the review exists but was conducted outside of the White House, or if the alleged White House review just didn't come to that black-and-white "clearing" conclusion. In an election year, it's become evident that even a few words matter in statements issued by the White House. In addition to saying that Huawei wasn't cleared by the White House, Hayden reiterated that the company had been banned from supplying U.S. emergency network infrastructure for first responders "due to U.S. government national security concerns." Australia has also barred Huawei from becoming a government contractor, and Canada is looking to adopt a similar policy. Although official White House channels have denied the report, both the Chinese government and its media were immediately touting it as a proclamation of innocence. The country's Foreign Ministry called for a "level and stable" playing field following the "White House-ordered review." Meanwhile, China Daily quoted experts who criticized U.S. resistance to Huawei, reporting that "the U.S. will lose through such thinking." Huawei cried foul when the U.S. House report first came out, calling it "unfair and inaccurate." It found backup in an unnamed senior Hill staffer's allegation that Cisco and other U.S. tech companies urged Congress to investigate Huawei and ZTE. Huawei, still determined to enter the U.S. market, is readying a fail-safe mobile operating system just in case it can't do business with American OS makers in the future.